As a way to say THANK YOU for being a part of our community, we are doing a Black Friday through Cyber Monday sale! Both the Van Layout Guide and Creator Academy are 50% off until Monday November 26th at midnight. Grab your spot before this deal is over! Love the layout and look of our Van Build? Wondering what the dimensions are for our van bathroom? Want to know how big our upper cabinets are? Or maybe you want to know how tall we built our countertops? We got you covered! The Van Layout Guide is your go-to resource for building your own van. You'll get instant access to the complete layout of our Sprinter Van with 3D renderings of the finished van conversion. If you've been on the fence about this whole social media thing, now is the time to jump in with both feet because all weekend long Creator Academy is only $48.50. Do you believe your life is meant for more than sitting behind a desk working the 9-5? Are you ready to create and share your message to inspire others to live a life full of freedom? If so... then this is what you've been searching for. Maybe you have no idea what your "brand" would be or what "product/service" you would sell... That's okay. 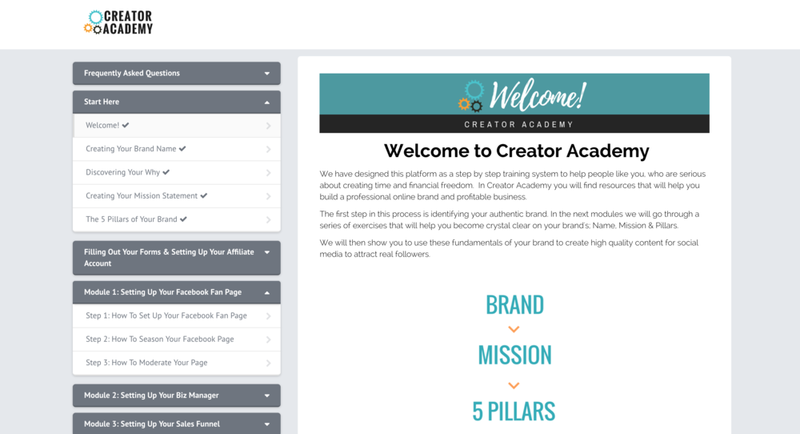 Creator Academy is designed to help coach you step-by-step on how you can build a business based around your mission and interests.